Hayate no Gotoku was a great anime that I enjoyed throughout these few feeks. Its length is kind of long so it took me quite a while to finish but nonetheless, it was nice and funny. The story starts off with a kid named Hayate who has bad luck and his parents are treating him pretty horribly and soon leaves him with a debt of 150 million yen. Soon he meets this young girl named Sanzenin Nagi, who is the grand-daughter of a rich billionaire in Japan. Hayate planned to kidnap her and request for a ransom from her guardian but things didn’t turn out right, which erases Hayate’s thoughts of kidnapping Nagi. But soon after that Nagi really gets kidnapped and so Hayate went to the rescue. 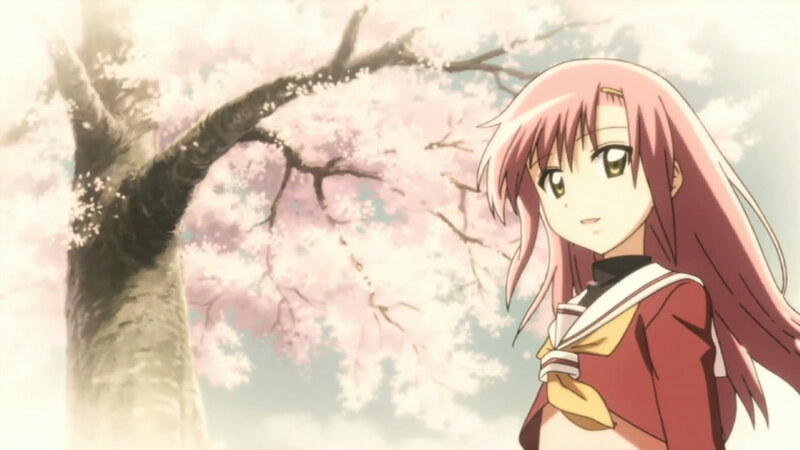 Nagi soon took him in as her butler, since her previous butler retired and so that was when Hayate’s new life started. A few days later, Hayate meets up with the loan sharks and Nagi paid off the whole debt of 150 million yen that Hayate’s parents owed which resulted in Hayate needing to work for Nagi for 40 years and so that’s where the real story starts. Basically the whole idea of Hayate no Gotoku parodying various animes and having the anime names censored makes me laugh most of the time and find it funny. I have to say the directors did a good job at this point. The ‘Art’ category is where Hayate no Gotoku stands out at. The drawings are very well drawn and characters are very well detailed. There were some effects throughout the anime during some action scenes and they were well made too. The opening and ending songs were pretty nice to listen to but the voice acting is what pulled the rating for this category down a little. It’s no doubt that the voice acting is strong but sometimes it can get annoying as some characters’ faces do not match their voice. An example is that the character gives out a cute voice despite the fact that they don’t look cute at all, I do come across this problem at times but it’s minor since this do not apply to the main characters. I have to say the characters were well developed in this anime, all were given enough screentime by the role of the characters. I did developed some liking towards a number of characters because of their characteristics and personalities. This anime was very enjoyable in my opinion but some parts were just no needed in the anime in my opinion, might have been better if they were removed but others might not like it if the parts were removed since all of us have different tastes and opinions. Hayate no Gotoku is a worth watching anime, I would say it’s not bad. Despite some of the parodies being horrible but they can turn out to be funny as well. If you like animes that do not make sense and is just plain awesome, you might like Hayate no Gotoku. For other kind of watchers, you might wanna give this anime a try even if it’s 52 episodes and can be lengthy. This review was brought to all of you by Freya from Pineapple Memories, thank you for reading and check back in a few hours’ time for our next episode of Pineapples on Music.